At Toshblocks we believe in the deeper knowledge of Blockchain. This deeper knowledge comes from months of Research & Development on a particular topic. We can help you in achieving your target by investing resources in an optimized manner resolving your concerns with lesser cost & time. 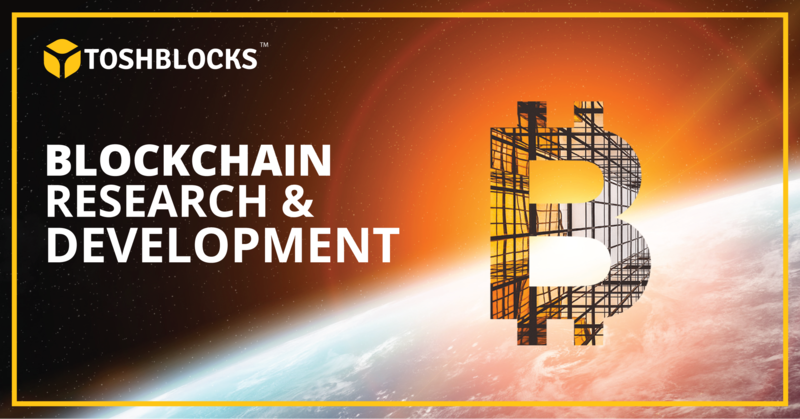 We offer full-fledged R&D as a service in Blockchain & Cryptocurrency domain. No matter what your business is we can help you figure out the best way to optimize your internal operations, technologies & help you figure out how can you use this distributed ledger technology to optimize security, trust & operations in your business. You can hire one resource or a complete team to prepare the answers to your business question & resolve all our doubts quickly. Blockchain has revolutionalised our digital world and we wish to develop new innovative products and services for our clients. Yes, our expert team can build private blockchain applications irrespective of the industry you belong to, that enables you to save on huge infrastructure and operational costs.